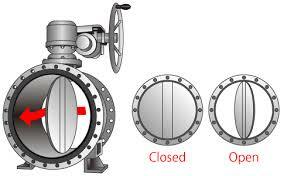 A butterfly valve is used to shut off or modulate the flow of a fluid (isolation and regulation). API 609 Centric butterfly valves (soft seated) are preferred to gate and ball valves for low-pressure and non-critical applications as they are cheaper, lighter and easier to install. 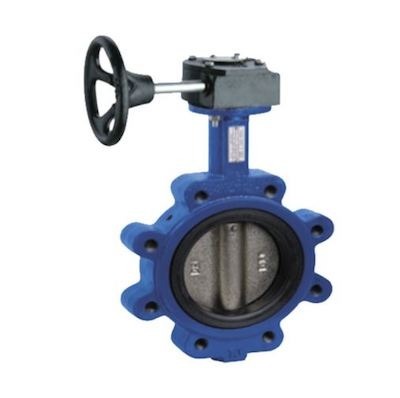 Eccentric butterfly valves (double offset and triple offset valves) with metal seats have surged in popularity and compete with globe and ball valves for some applications. 1 WHAT IS A BUTTERFLY VALVE? A butterfly valve is a regulating and shut-off device that can be an alternative, in some applications, with globe and ball valves. Butterfly valves can be used for a wide range of applications such as water supply, wastewater treatment, fire protection, for the chemical and oil industries, for fuel handling systems and also for applications within the power generation industry. With the introduction of the double and triple eccentric designs, butterfly valves are more and more used also in the oil and gas industry and have started to compete with more traditional valves, as globe and ball valves. 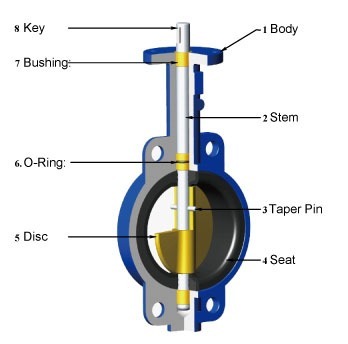 The key component of a butterfly valve is the disc, a metal ring which is positioned at the centerline of the pipe and connected to an external actuator (manual level or actuator) via a rod. 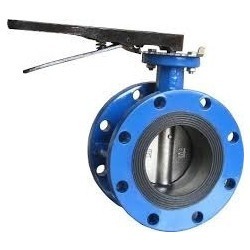 Compared to a ball valve, the disc of a butterfly valve is always in contact with the fluid conveyed by the pipeline and creates, therefore, a pressure drop. 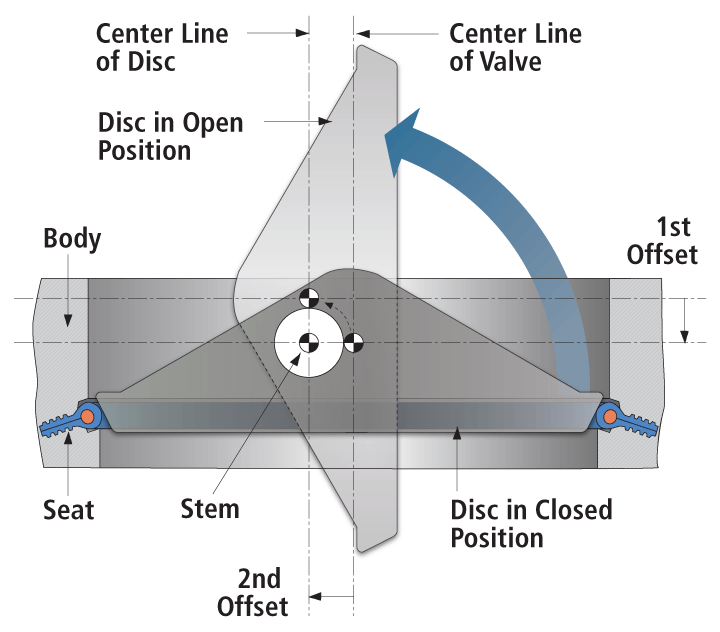 In the closed position, the disc blocks the bore of the valve, and, in an open position, the disc allows the passage of the fluid. 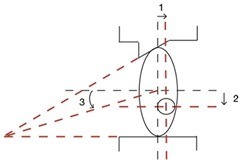 A quarter turn movement is needed to switch the valve from a fully open to a fully closed position (and such movement can be executed as quickly as for ball valves). The API 609, ASME B16.34 (pressure and temperature rating), API 598 (testing), ASME B16.5 and ASME B16.47 (flanged ends) and ASME B16.25 specifications cover the dimensions and the tolerances of butterfly valves for the petrochemical industry and piping applications. 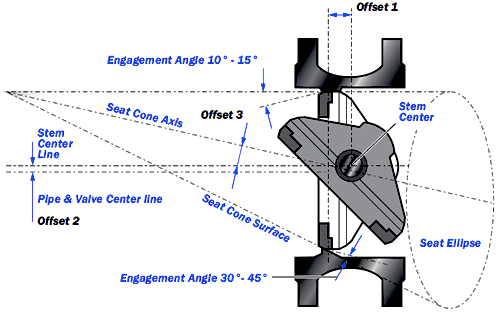 the eccentric butterfly valve (double offset and triple offset): have one or more stub shafts (stems) which are located in an offset position from the center of the valve. Eccentric butterfly valves are also defined as the double or the triple offset. The concentric butterfly valve is used in water and wastewater treatment plants, fire protection systems, and gas supply. Double eccentric butterfly valves find large application in underground water supply applications and compete with gate valves (especially in larger bore sizes) due to the fact that they are lighter, cheaper and minimize the excavation works. Triple offset butterfly valves are built with high-grade materials like stainless steel and duplex/super duplex steel and compete with ball valves in mission-critical applications with remarkable corrosion and high temperature/pressure. Triple offset butterfly valves are the most sophisticated type and are gaining market share in the latest years. 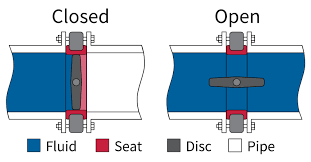 The images show the design difference between a double and a triple eccentric butterfly valve (respectively at the left and right side of the diagram). Butterfly valves, like any other type of valve, are available in multiple materials and combinations of materials (body, disc, seat). The selection of the materials is based on the fluid to be shut off, the pressure and the temperature of the application at hand. Here follows a list of the main materials used for butterfly valves, which are generally cast grades. Carbon steel is an iron and carbon alloy (no other alloying elements are added to control the properties of the material). For butterfly valve construction, carbon steel is most often used to form the body and disc of the valve using the sand casting process. The most common grade used for butterfly valve bodies and discs is ASTM A216 WCB and LCC (Low Carbon Content) steels (which are cast steels). 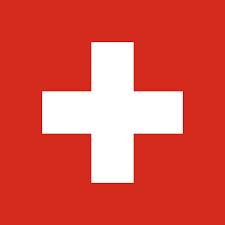 They are used, respectively, for high temperature and low-temperature service. Stainless steels are alloys of iron, nickel and, chrome (the min. 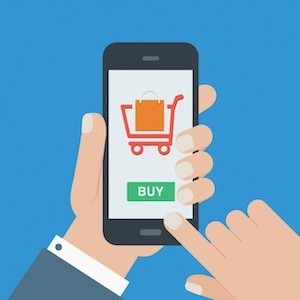 content for Cr is 10.5%). The addition of chrome forms a self-healing layer of oxide on the surface of the material that protects it from rusting. When the surface of a stainless steel made product is scratched, the chromium reacts with oxygen and prevents it the from reacting with iron and rusting. Many different types of stainless steels are available, generally called 300 and 400 series. Stainless steels can be classified in ferritic, austenitic, martensitic, duplex and precipitation hardenable (14 Ph). This classification is based on the microstructure of the material by varying the composition of the elements mixed. The most common SS types used for the construction of valves, in general, are the austenitic and the duplex grades. Austenitic stainless steels contain (in addition to Chrome), nickel, which has the effect of retaining the high temperature face-centered-cubic austenitic structure at temperatures where it would normally have transformed to the ferritic body-centered-cubic structure. This face-centered cubic structure gives the material stronger toughness and ductility compared to ferritic grades. Depending on the percentage of nickel contained, the tough austenitic structure can be retained even at very low temperatures, making the material suited for cryogenic applications. The addition of molybdenum strengthens the resistance to pitting corrosion of the valve. Duplex stainless steels (UNS S32205 and UNS S31803) have a well-balanced structure of both the austenitic face-centered cubic and ferritic body-centered structure of iron. This type of composition is obtained by controlling the alloying elements and the heat treatment executed on the alloy to manufacture a structure which consists of 50% austenite and 50% ferrite. Duplex stainless steels combine the higher strength of the ferritic composition with the remarkable toughness of austenite. The super duplex type (UNS S32750 and UNS S32760) contain higher levels of chromium and molybdenum to enhance the resistance to corrosion. Nickel alloys are used in for valves subject to very severe service conditions in terms of fluid, temperature and, pressure. These alloys are particularly suited for extremely corrosive applications, which would break the protective oxide layer of lower grades steels (as stainless steel). Inconel, Incoloy and, Hastelloy are the most used nickel-alloys used in valve construction. The main disadvantage of nickel alloys is their high weight and high cost (a multiple of stainless steel valves). Titanium alloys combine remarkable strength and lightweight with excellent resistance to corrosion. Titanium alloys have the highest strength-to-weight ratio compared to any other metal. Similarly to stainless steels, titanium alloys feature a protective oxide layer on their surface which protect the product from rusting. Titanium offers strong resistance to corrosion by seawater, in particular for environments where hypochlorite is present. The main disadvantage of titanium alloys is their high price, a multiple of stainless steel, and the complexity of production process, due to the high reactivity of the metal (special casting procedures are required to prevent the reaction of titanium with oxygen during melting and pouring. This is a copper alloy which contains approximately 10% aluminum, 5% nickel and 5% iron. It features strong corrosion resistance, especially in seawater applications and resists the formation of a biofilm, a frequent cause of corrosion problems for stainless steels. 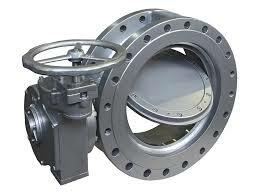 Butterfly valves API 609 may have soft or metal seats. 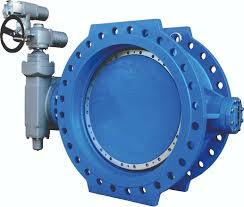 Valves with soft seats are also called “soft-seated” or “resilient” butterfly valves and are of the centric type. Eccentric design (double or triple offset) are available, generally, with metal seat design, which could also be fireproof. In this case, the body of the valve and the disc feature a metal-to-metal seal. High-performance butterfly valves (double eccentric) are available both with soft and metal seats. Triple offset butterfly valves have, generally, a metal seat and an ATEX fire-safe protection. LOOKING FOR BUTTERFLY VALVES EX STOCK? Buy API 609 concentric and double eccentric butterfly valves API 609 on our online store: we offer stock delivery, competitive prices, and worldwide shipping. Buy API 609 butterfly valves now! Buy Butterfly Valves for Effective & Regulated Fluid Flow.